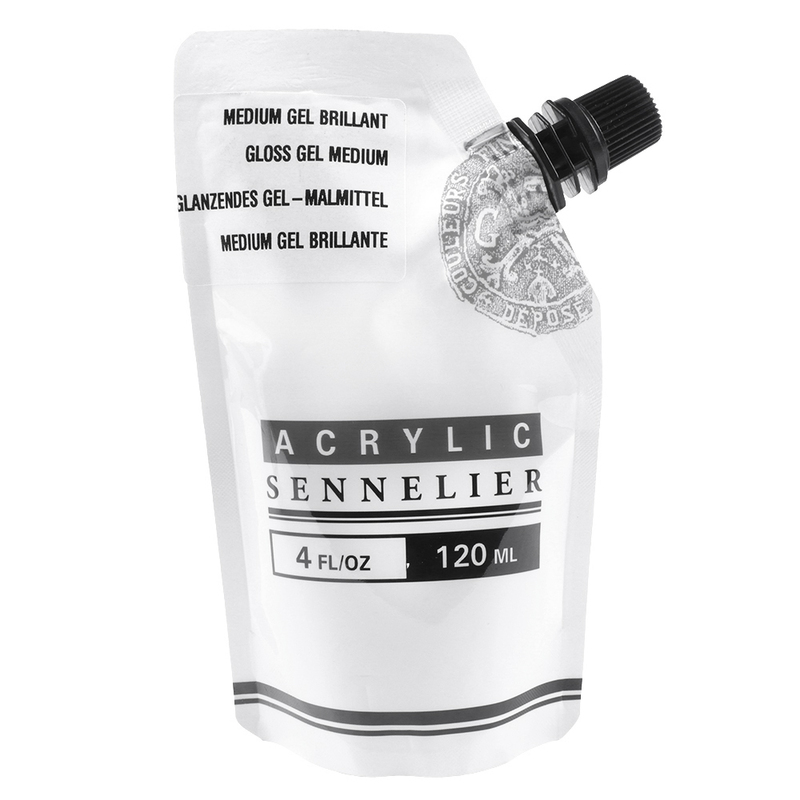 Sennelier Abstract Acrylic Gloss Gel Medium increases the transparency and the shininess of the colour. It can also be used as an adhesive. With a similar texture to Sennelier extra-fine acrylic, it improves transparency, depth and brightness of colour. It can be added in any proportion to the paint and can be mixed with matte gel medium to obtain satin effects. Water soluble and rapid drying, this medium is water resistant when dry, and will not crack. Sennelier Abstract Acrylic Mediums are the perfect companion to your Sennelier Abstract Acrylic paints. Packaged in the same innovative pouch, these mediums can be easily resealed meaning they won't dry out and there will be no waste.